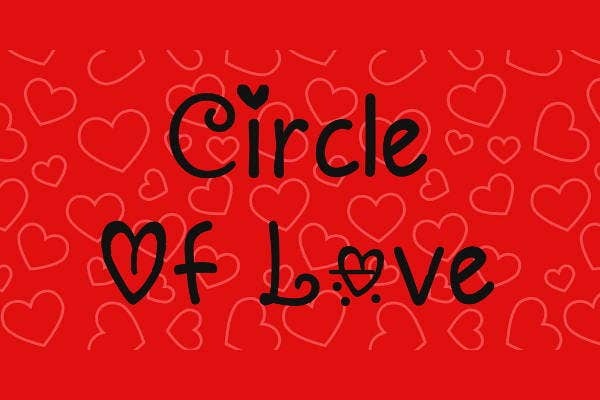 There are five ways to express your love for a person and that is through words of affirmation, spending quality time together, gift giving, acts of service, and physical touch. These are the five love languages by world-renowned author Dr. Gary Chapman. While it might take some time to learn these languages, a celebration of love is never complete without posters and invitations. Spread the word about your cherished celebration to members of your family, friends, and guests with our elegant love font styles. 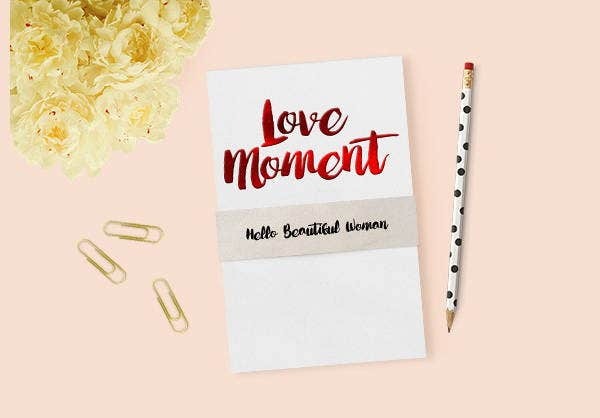 Show that person how much you truly care by surprising them through a party or a simple gift using any of the love fonts offered from our website below. Fancy Love Font. This fancy font decorated with vines can be used for fantasy themed celebrations like Alice in Wonderland or Snow White. 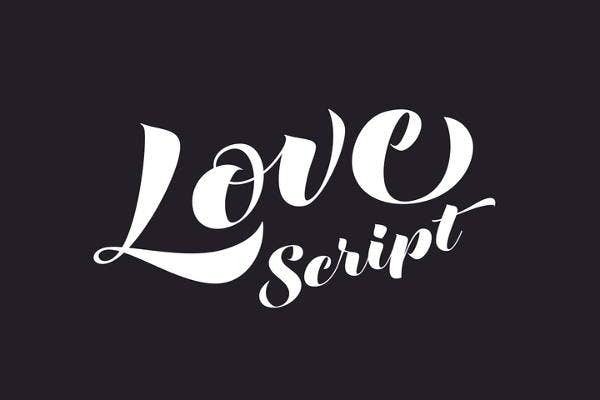 Cursive Love Font. Make a warm greeting with this lovely cursive font that goes well with invitations and gift cards. 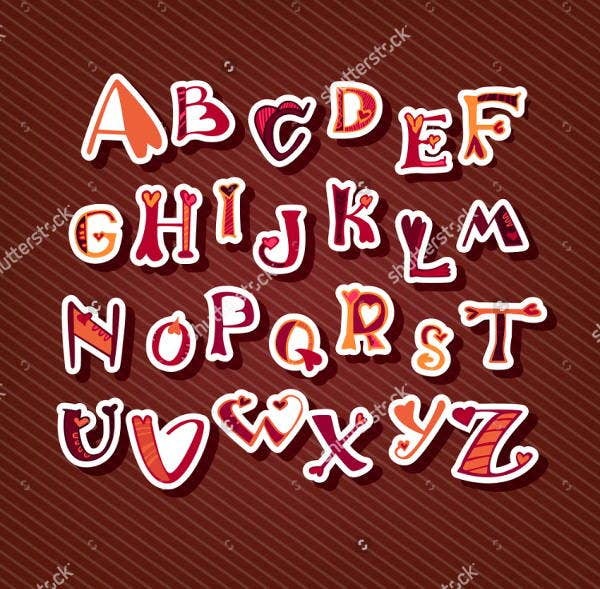 Love Alphabet Font. 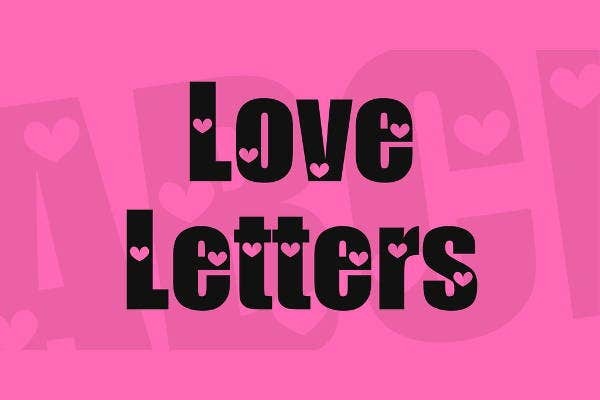 This love alphabet font is perfect as cutouts for Valentine’s Day cards that kids can make for their parents. 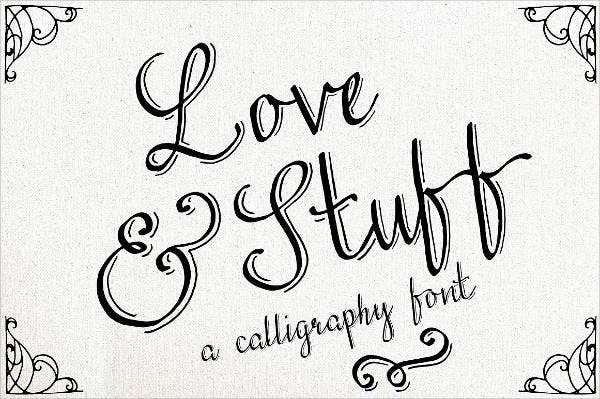 Love Calligraphy Font. Delight your guests with calligraphy text and design on your invitation cards. Love Tattoo Font. Add an ethnic vibe to your regular card with this font. 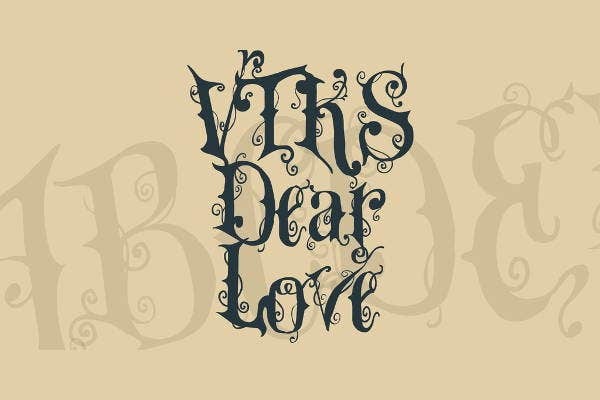 Vintage Love Font. 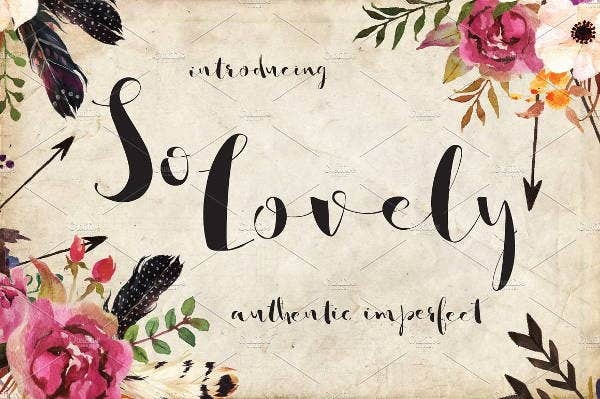 Design your social media greetings with this Vintage Love font. 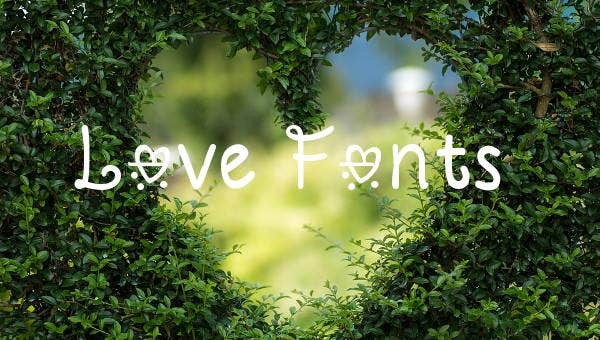 Our love fonts are also ideal to use as Valentine’s Day cards. Check out some interesting Valentine’s Day facts that are a great brain teaser. You can use these facts and create cards for your guests to read while they wait for their food to be served or use these facts as a guide to make your own Valentine’s Day store trivia. Retail statistics suggest that 3 percent of pet owners will present gifts to their pets on Valentine’s Day. It was considered bad luck to sign Valentine’s Day cards during the Victorian period. There are about 1 billion Valentine’s Day cards sent every year. The term XOXO is used to seal letters with a kiss. Weird meals were eaten by girls in medieval times to let them imagine their future spouse. February 14 is an official holiday in England. Physicians in the medieval times advised persons who are grieving for their loved ones to eat chocolate. Approximately 35 million boxes of heart-shaped chocolates will be bought for Valentine’s Day. Cadbury chocolates were first produced in the 1800s on Valentine’s Day. Venus, the Roman goddess of love, delights in red roses. 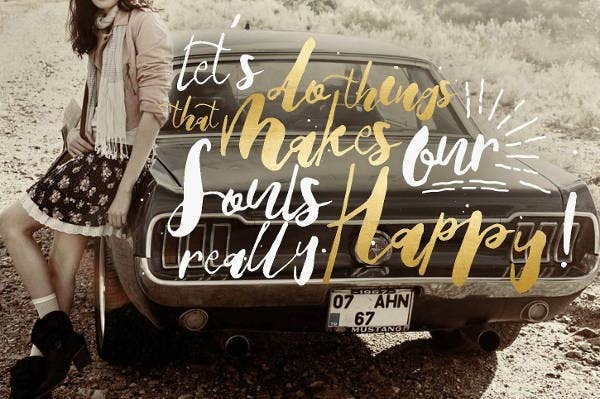 We also have a collection of girly fonts fit for weddings, birthdays, and anniversaries. Read the rest of our posts from our website for more awesome fonts.